This free workshop will help librarians of all types learn techniques. This can include better understanding of genealogy research methods and sources. 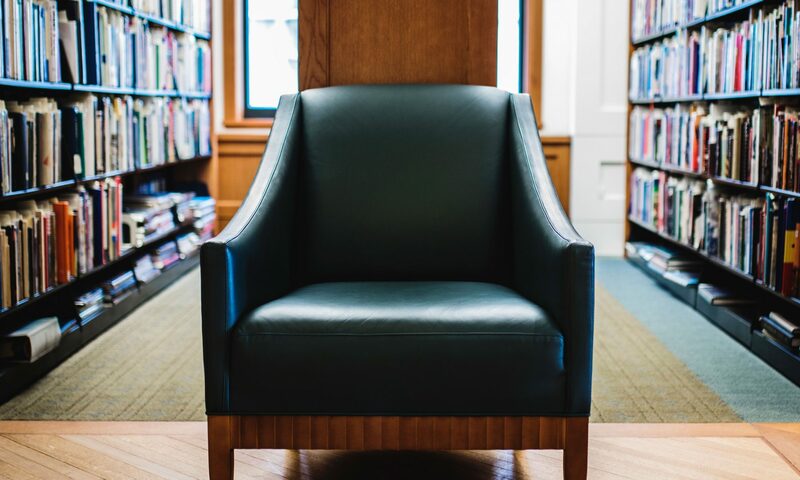 It can also include how libraries can leverage their unique holdings to become more relevant to genealogists, who tend to be passionate in their support of libraries that have useful materials. Lunch provided and sponsored by ProQuest. Must register here:https://www.surveymonkey.com/r/QWZP6WG. Deep Dive Session – *BRAND NEW! This Deep Dive workshop will focus on user testing and understanding your users’ experience through a mix of discussion, presentations, and interactive experiences. Our five presenters will offer design strategies and tools from throughout the life cycle of a user experience design project, and they will also join together as a panel to provide a spirited, entertaining look at pitfalls to avoid and lessons learned. Unlike other sessions about user experience design, the proposed workshop will focus on providing attendees with concrete skills and techniques they can apply at their home institutions with relatively little expense or pre-planning. *Registration to open soon. More information here. RUSA Discussion Groups at the 2016 Midwinter Meeting. A thoughtful discussion of the emerging trends of resource sharing and interlibrary loan. Read more here. 1:00 PM – 2:30 PM, Westin Waterfront, Room Bulfinch Read more here. We will feature panelists from institutions which have innovated their approach to web reference (email, chat, FAQs, etc.) and/or conducted usability studies on how their users get answers through their library’s web portal. Read more here. Learn how can we ensure our communities know about our genealogical and historical resources. Read more here. A thoughtful discussion about the emerging trends in reference publishing by the Collection Development and Evaluation Section (CODES) of RUSA. Read more here. All-Committees meeting and discussion opportunity for those interested in business reference in all types of libraries. Read more here. A thoughtful discussion on emerging trends of historical librarianship. Read more here. Beginning Sept. 1, 2015 the RUSA is seeking nominations for its annual series of awards and grants. Nominations and supporting materials for most awards must be submitted by Dec. 4, 2015. RUSA encourages members to nominate their colleagues whose work has influenced their thinking and performance and whose contributions merit recognition by the profession. With over $30,000 generously donated annually by industry sponsors, RUSA has, and will continue to, nominate, select and honor the very best in the field of reference and user services. Isadore Gilbert Mudge Award, RUSA’s highest honor, recognizes an individual who has made a distinguished contribution to the field of reference librarianship. $5,000* and a citation. Award for Excellence in Reference and Adult Library Services is given to a library or library system for developing an imaginative and unique resource to meet patrons’ reference needs. $3,000* and a citation. NoveList’s Margaret E. Monroe Library Adult Services Award recognizes a librarian who has made significant contributions to library adult services. Sponsored by NoveList; $1,250* and a citation. John Sessions Memorial Award recognizes a library or library system that has made a significant effort to work with the labor community and by doing so has brought recognition to the history and contribution of the labor movement to the development of the United States. Sponsored by the Department for Professional Employees, AFL-CIO, the winner receives a plaque. Reference Service Press Award recognizes the most outstanding article published in Reference and User Services Quarterly (RUSQ), RUSA’s research journal, during the preceding two-volume year. Sponsored by Reference Service Press; $2,500* and a plaque. BRASS Award for Excellence in Business Librarianship is presented to an individual who has made a significant contribution to business librarianship. $3,000* and a citation. Louis Shores Award recognizes an individual reviewer, group, editor, review medium or organization for excellence in book reviewing and other media for libraries. The winner receives a citation. Zora Neale Hurston Award honors an individual ALA member who has demonstrated leadership in promoting African-American literature. Sponsored by HarperCollins Publishers; the winner receives $1,250* supporting travel to the ALA Annual Conference, a beautiful plaque, two tickets to the United for Libraries author events: The Gala Author Tea and The Laugh’s On Us, and two complete sets of Zora Neale Hurston’s books and audiobooks. ETS My Favorite Martian Award is a citation presented annually in recognition of excellence in service to the Emerging Technologies Section of RUSA. The winner receives a citation. Genealogy / History Achievement Award Sponsored by ProQuest, is presented to a librarian, library or publisher, and recognizes professional achievement in historical reference and research librarianship. $1,500* and a citation. Virginia Boucher/OCLC Distinguished ILL Librarian Award is given to an individual for his or her outstanding professional achievement, leadership, and contributions to interlibrary loan and document delivery. Sponsored by OCLC; $2,000* and a citation. BRASS Student Travel Award presents funds to a student enrolled in an ALA accredited master’s degree program to fund travel the ALA Annual Conference. $1,250* and a citation. This award’s nomination deadline is Jan. 15, 2016. BRASS Global Financial Data Academic Business Librarianship Travel Award is presented to a new librarian in the field of academic business librarianship in order to support attendance to the ALA Annual Conference. Sponsored by Global Financial Data; $1,250* and a citation. Morningstar Public Librarian Support Award offers funds to a public librarian who has performed outstanding business reference service and who requires financial assistance to attend the ALA Annual Conference. Sponsored by Morningstar, Inc.; $1,250* and a citation. STARS Atlas Systems Mentoring Award offers ALA Annual Conference travel assistance funds to a library practitioner who is new to the field of interlibrary loan/document delivery or electronic reserves, and who has involvement in the areas of borrowing, lending, document delivery, electronic reserves, material delivery or resource sharing. Sponsored by Atlas Systems; $1,250* and a citation. Gale Cengage Learning History Research and Innovation Award is granted to an MLS degreed librarian from an ALA accredited school to facilitate and further research relating to history and history librarianship. Sponsored by Gale Cengage Learning; $2,500* and a citation. BRASS Emerald Research Grant Award, is presented to an individual or group seeking support to conduct research in business librarianship. Sponsored by Emerald Group Publishing; $5,000* and a citation. Questions about these awards should be directed to the committee chairperson—access committee contact information by logging in at www.ala.org, then accessing the RUSA roster webpage—or to the RUSA headquarters staff. More information about these awards, including nominating instructions, can be found on RUSA’s awards webpage.